Painted between the second Milanese and the Roman periods, the St John in the Louvre is composed in accord with an upward spiralling rhythm. 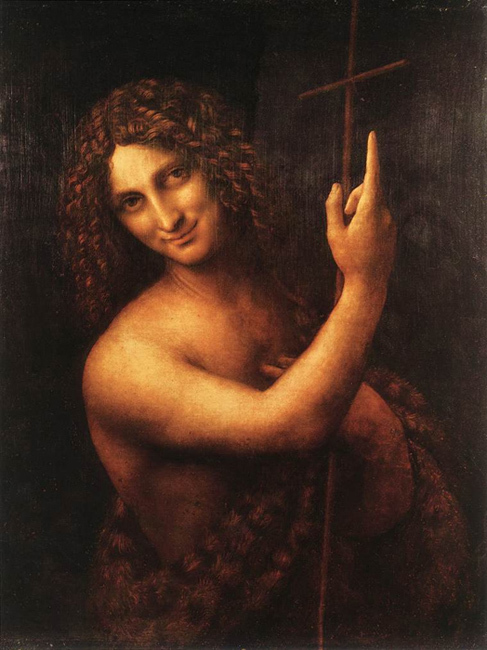 The teasing expression may be an allusion to pagan eroticism. 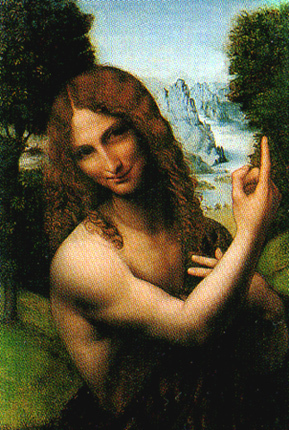 An allusion to the mystery, the finger pointed towards heaven denotes the coming of Christ, announced by the Baptist. This iconographic element was frequently employed by Leonardo: it occurs in the London cartoon where St Anne indicates the heavenly will; and it returns in the drawing of the Angel of the Annunciation, furnished on the verso with three words taken from Pliny relating to the ability of Apelles to paint the invisible. 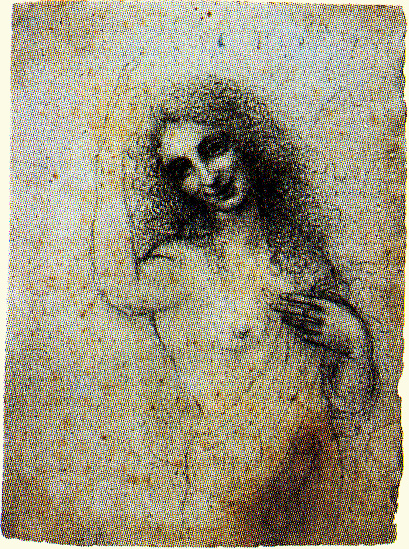 Leonardo da Vinci, Study for an Angel of the Annunciation, a workshop collaboration, c.1505, private collection. The image of the angel is here transformed into that of Bacchus in a state of sexual arousal. second decade of 16th century, Pinacoteca Ambrosiana, Milan. The tree-flanked landscape is wholly Lombardian and harks back to the ice and rock background of the St Anne. 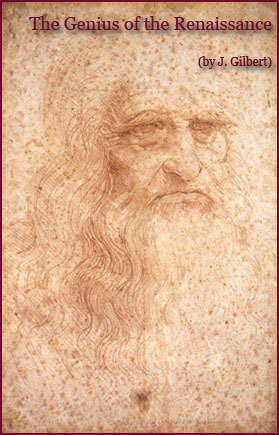 The pupil, who followed Leonardo to France, inherited a notable number of his master's paintings. Stanza della Segnatura, Vatican, Rome. 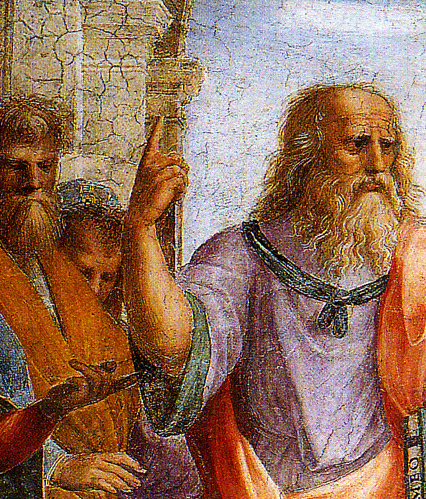 The Vincian pose reappears in the figure of Plato pointing to the space beyond the heavens.